Chandraketugarh gets the name from King Chandraketu whose civilization had flourished here for six eras. Fort was built by King Chandraketu and is considered beautiful archaeological structure of the region. Ancient Greek and Roman writers called ‘Gangaridai could have known site and surrounding area. The mythical ancient temple dedicated to Khana and Mihir has has only a flight of stairs and the walls as the remnants of the building. The ruined four-foot thick walls reveal the grandeur of the temple. The things that have been found in excavation of this temple and are attractions of this place are Buddha stupas and images, decorative designs belonging to Pala period, Jataka stories coins, terracotta sealing and plaques and many more. There is another interesting structure nearby which is the legendary incomplete mosque that was built by Pir Gorachand. This is a one of the best less known tourist places in West Bengal. Since no such lodging facilities are available so Chandraketugarh is appropriate for day trip from Kolkata. It is situated at a distance of about 50 kilometres from Kolkata and can be reached by road, via Barasat. The journey takes around 2 hours. From Ultadanga and Espalanade, regular buses are available to Barachampa. 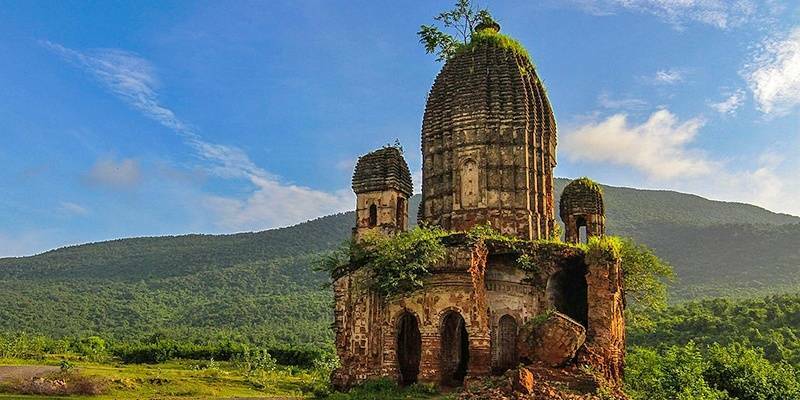 A ruined fort located in the eastern part of India less than an hour drive from Asansol at the foot hills of Panchkot in the district of Purulia, West Bengal. The place has history of being attacked by bargis. Lot of herbs and medicinal value plants species are Amloki, Gurmar, Bahera, Kalmegh, Satamul, Sarpagandha, Jastimadhu, Neem, etc. Damodar in monsoons is full to its brim and bird watching and walking along its bank is pass time that people do. The West Bengal Forest Development Corporation Limited has a tourist bungalow here with 3 types of guest houses. It is 222 km from Kolkata. 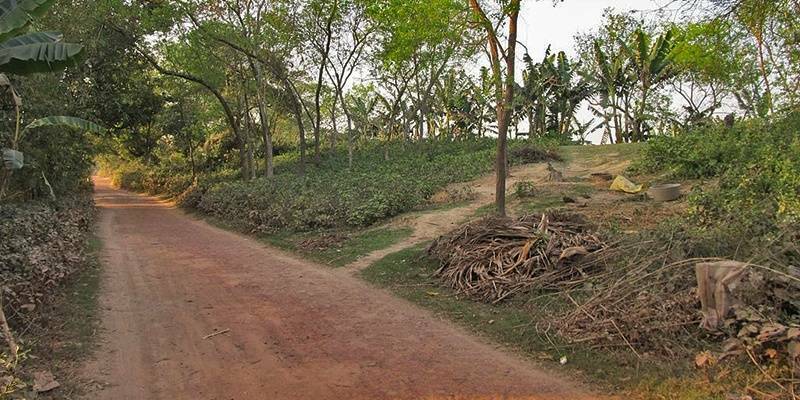 A serene place to rest in a bagan bari on the banks of Ichhamati is Taki in West Bengal’s North 24 Parganas district. It is a municipality under the Basirhat subdivision. 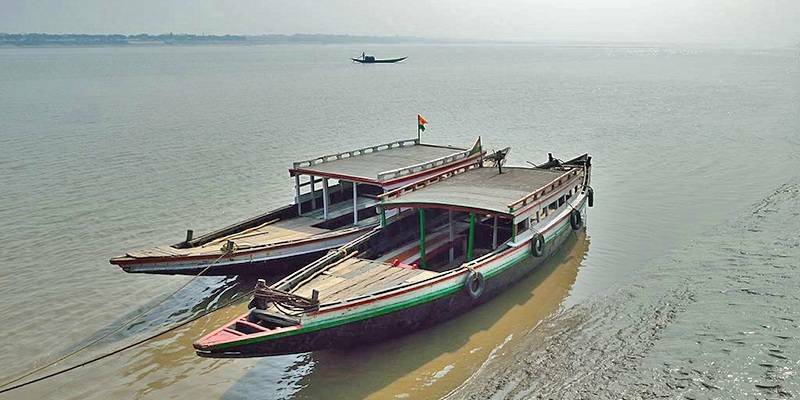 Mid-river experience of meeting the countrymen of Bangladesh, on the Ichamati River, is worth experiencing as tourists from both countries ride on wooden boats to get a close view of the other side. Ruins of zamindar houses, Golpatar jungle and General Shankar Roy Chowdhury’s Adi Bari are places that cannot be ignored. Few temples are also around the place that deserve visit like Ramkrishna Missions, Kuleshwari Kali Temple, 300 years old Jora Shib Mandir. Visitors can also take boat ride to the Machranga Island. Van rickshaws are hired for going to Golpatar jungle. People find the shade of long trees with birds and cooler atmosphere quite unique and delightful. Photo identity proof to show the BSF is needed for permit. Famous sweet “chanar malpoa should be tired. Bagan bari is good place for accommodation. Various kind of fishes plus chicken and mutton dishes are also available. Hasnabad Local Train from Sealdah Station, takes around 2 hours to reach Taki Road Station. Car or ride a bus from the Esplanade, takes 3.5 hours to get to the place. Dooars is considered the gateway to the hill stations of the Darjeeling and the word itself is derived from “doors” meaning in the literal sense gateway. It is famous for its rich biodiversity and forests, prominent ones in the area include Gorumara National Park, Jaldapara Wild Life Sanctuary, Buxa Tiger Reserve. Also located in this region are Manas National Park in Assam, Chapramari Wildlife Reserve and the Mahananda Wildlife Sanctuary. 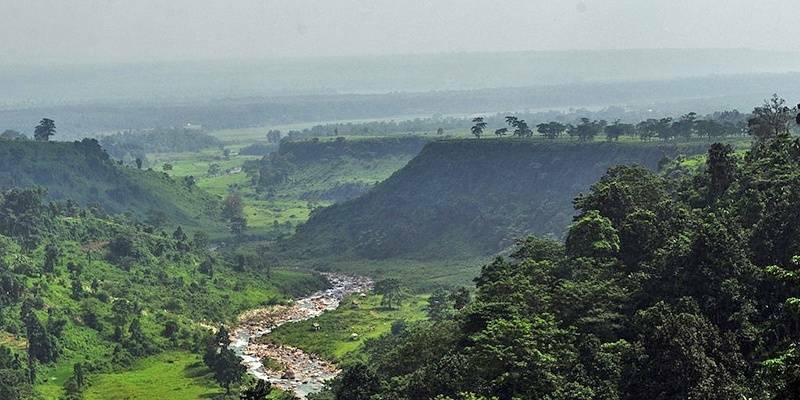 One place of attraction that lies 30 km from Alipurduar is Jayanti, which has beautiful meandering river and green hills. Bhutanghat also is close to the river lies 45 km from Alipurduar and has equally captivating beauty. The leopard Rehabilitation Centre and Nature Park at Khayrabari is 11 km from Madarihat. 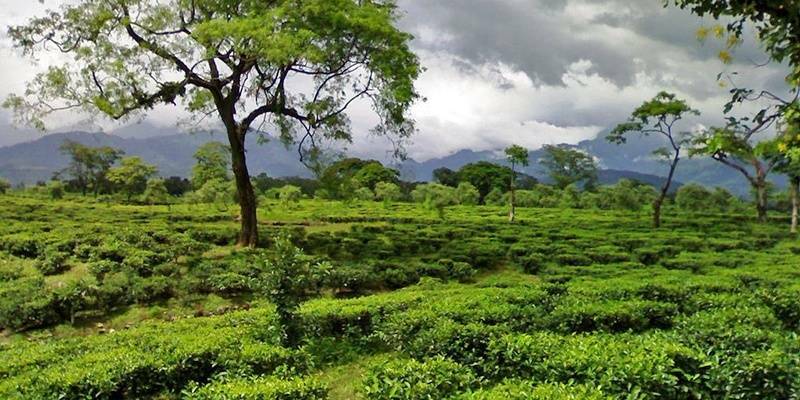 The forest and the hills around are rich in flora and fauna with tea gardens spread across like a green soft blanket that makes it one of pleasing and eye-appeasing destinations. It is the gateway to Bhutan and the whole of North east India and can be reached by railway service connecting Cooch Behar with Kolkata via New Jalpaiguri. One can also avail the railway service via Alipurduar. State buses ply to Siliguri and Jalpaiguri from Kolkata. 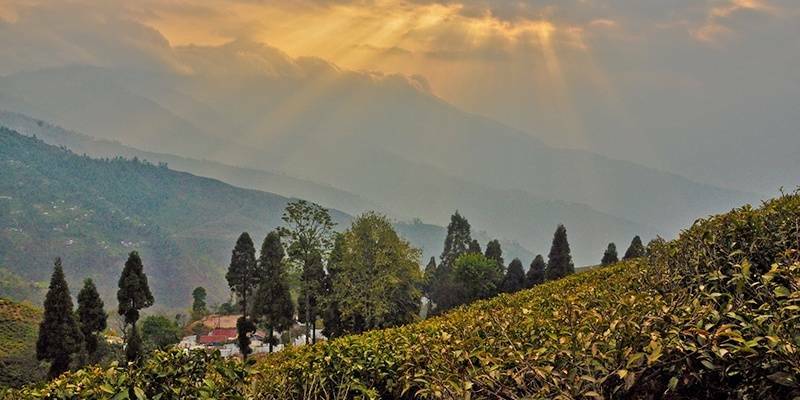 Where small streams, natural forests, tea gardens come together to form a breath taking landscape is place called Samsing. It lies 18 km from the Neora Valley National Park. Plains merge and rise to take shape into the Himalaya. One of the places where many tourists stay overnight is Suntalekhola which is about four kilometres further up the road from Samsing where the road ends close to a small stream named on the place itself in the village of Faribasti. Flower gardens give this place amazing views are common to almost all households and some households may allow home stay for tourists. `Rocky island nature resort` on the banks of river Murti is another attractive tourist spot that lies 2 km from Samsing. Treks and accommodation are arranged in small Tents for overnight visitors in the surrounding area of the National Park. There is `Tree Fern Point` and `Mo` or `Mo Chaki` for a great view of the Himalayas in one side and the plains of Dooars in the other where Trekkers can take ride. 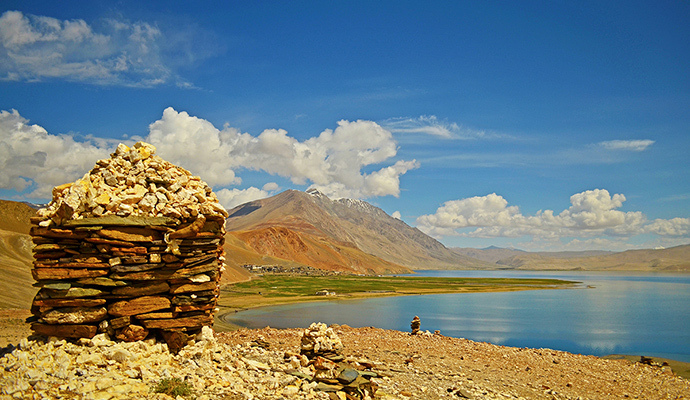 Bhutan hills and Jelepla, the pass which connects Tibet with India, is also notable place to visit. Other places nearby are Malbazar, Chalsa and Meteli. It is well connected with road, rail and air. One has to travel 85km from Siliguri to reach here. If we break the word in two ‘Jagat’ actually means ‘the world’, and lepcha is tribe name so together word means world of the lepchas. Situated 19 km away from Darjeeling hill town and takes only about 45 minutes by taxi. So, one can visit here while staying in Darjeeling. This place has dense forest area full with conifers like pine, oak and rhododendrons. Along with gleaming view of Kanchenjunga peaks, and amazing birdlife and tranquillity that awes you this place gives you happiness in wonderful way. Not many shops or other nightlife attractions so one can enjoy the quietness to oneself. Hawa Ghar which is about 1 km can be trailed by walk for fitness lovers. If the luck is in you court you might be able to see all five peaks of Kanchenjunga range. Another place is Ghoom Rock which is 1.5 km away and at an altitude of about 7,900 ft is famous as a sunrise point that tourists visit. Wonderful view of the Balsan Valley is also remarkable. Nearest airport is Bagdogra which is 85 km takes 3 hours. Also the nearest railway station is new Jalpaiguri 95 km which would take 3.5-4 hours. West Bengal forest development corporation lodge offers stay. Other sight-seeing places are Jorepokhri, Mirik is 25 km away with natural lake called Sumendu Lake, Pasupati Market located in India but near Nepal border is 15 kmaway, Maneybhanjan a 15 km drive also located on the India Nepal border start point of Sandakphu trek. A village with its sacred traditions that has become a holy place of pilgrimage is Jayrambati. It is a town in Bishnupur subdivision in Bankura district, West Bengal. 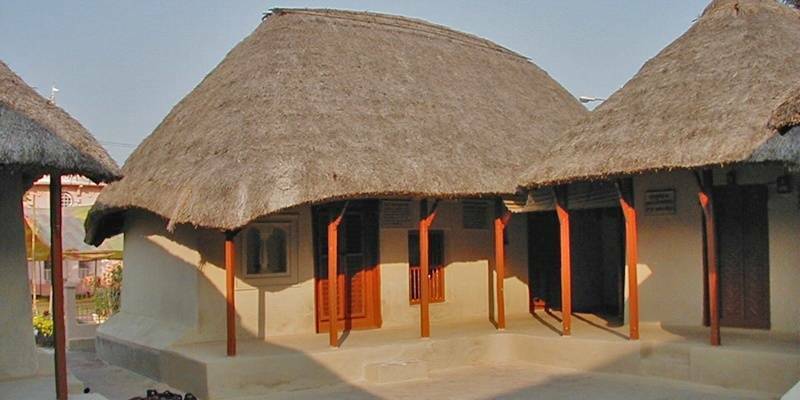 It is a holy village because Sarda Devi wife of Ramkrishna was born in this very village. White marble statue of mother has been installed in the temple. Nearby this temple is Naranarayan Temple where a child of below 5 years of age is worshipped as “God Narayan”. There is tradition of offering various things to him in puja like a pair of shirt and trouser, toys, books, pen and pencil etc. ‘Matrimandir” here is dedicated to Ma Sarada Devi, the spiritual consort of Sri Ramakrishna. The temple was constructed on the birthplace of Ma Sarada devi. Village is all surrounded in rural set up by green pastures and meadows and trees and is admirably quite and beautiful. It is quite a place to relax and spiritualize your mind. It is 105 kmform Kolkata and can be reached in 2-3 hours. Rajabhatkhawa is the gateway to the famous Buxa Tiger Reserve is located just 15 km from Alipurduar. It is surrounded by green forest and several things can be experienced altogether like Bird watching, jungle safari, trekking and wildlife watching. 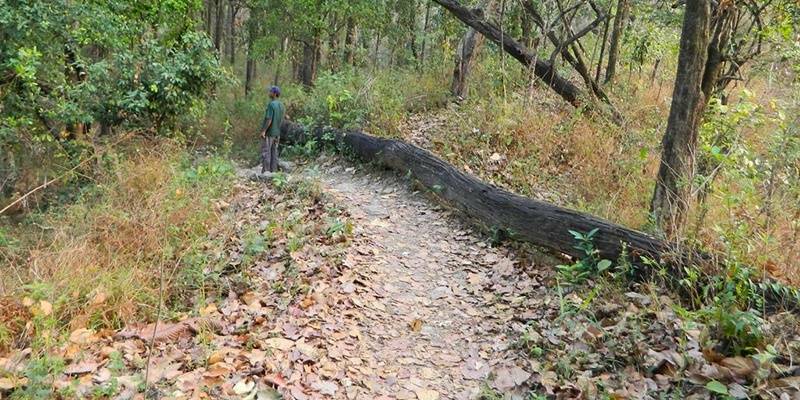 4 km trek through the forest trail, takes one to Rover’s Point which is famous bird watching destination. Migratory birds also add a charm to this place and draws tourists. Buxa Tiger Reserve is striking place as it has rivers flowing through to supplement the beauty. One has to trek around 5 km from Santrabari to reach Buxa Fort, located at an altitude of 2600 where sacred temple of Mahakal is also located not very far. The riverbed of Jayanti and the Chilapata forests are in vicinity where there is famous Pokhri, which is visited by thousands of devotees. Nearby is another site, Cooch Behar Palace and Rupam Valley in Bhutan is 12 km trek from this point which can excite trekkers. The nearest major railhead to Rajabhatkhawa is Alipurduar just 15 KMs away. One can get rented taxis from Alipurduar to Rajabhatkhawa. Buses are also available though not on regular basis. Buxadar Forest Bungalow provides accommodation facility to tourists. 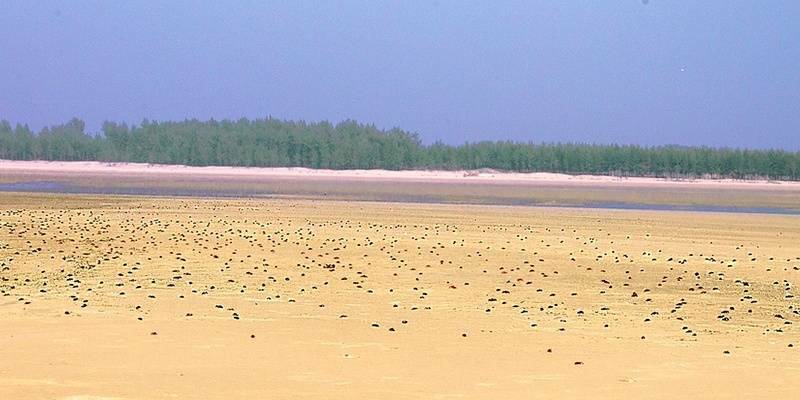 Tajpur is 170 km from the state capital Kolkata located in Purba Medinipur, West Bengal, on the shore of Bay of Bengal not far from Digha. Tajpur has dense forest of tamarisk trees that is spectacular to watch. The beach has lot of red crabs which take walk and make the beach their playground. Walking with tiny steps they add to different kind of beauty when they are together in large number there is wide variety of fauna including wild Gangetic dolphin, Oliver Ridley turtle, wide variety of birds and cranes. Train is taken then one can get down at Digha and hire a trekker to Tajpur. Or all buses to Digha from Kolkata would also drop to Balusai More form there one could hire local van to Tajpur. Duarsini is located around 13 km from Bundwan town in Purulia district has forest dotted with Ahal and palash trees. River Satgurang flows across it. Tribal villages of tribes like Santhal, Munda, Shabaradh, and Kheriya also are attractions because of their culture. The jungle is an interesting place to visit, where wild animals like Bear, Wild Pig, and herds of Elephants, Hyena, and Wolf. Group of Elephants may come out from Dalma to visit Duarsini. Bhalo Hills, which is 3 km from Duarsini has ancient civilization remains. Here you can see remnants of the culture of some past civilization. There are few temples like Haunuman, Smasan kail and Ganga Mandir situated within 3 km range. This is an interesting West Bengal points of interest albeit a less known one. Kolkata to Duarsini is 178 km. Car rent from Ghatshila costs around Rs.500/600. Ispat Express from Howrah leaves at 6.55 AM and one can get down at Ghatshila or Galudi form where its 20 km. 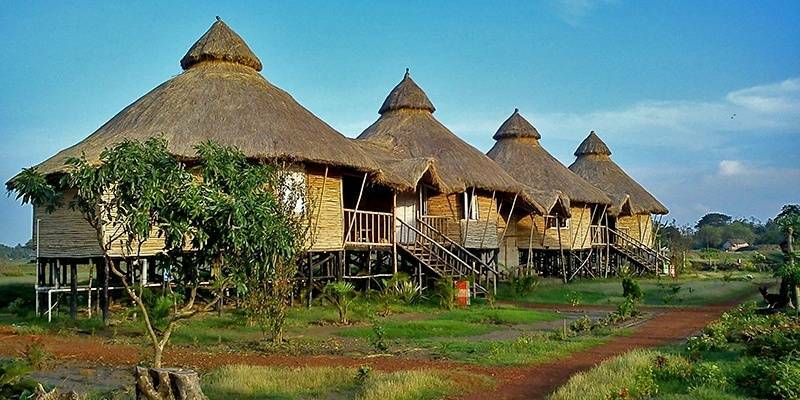 Tourists can stay here at Forest Bungalow that looks like a tribal cottage. Villagers employed by WBFDC take care of food and other needs. 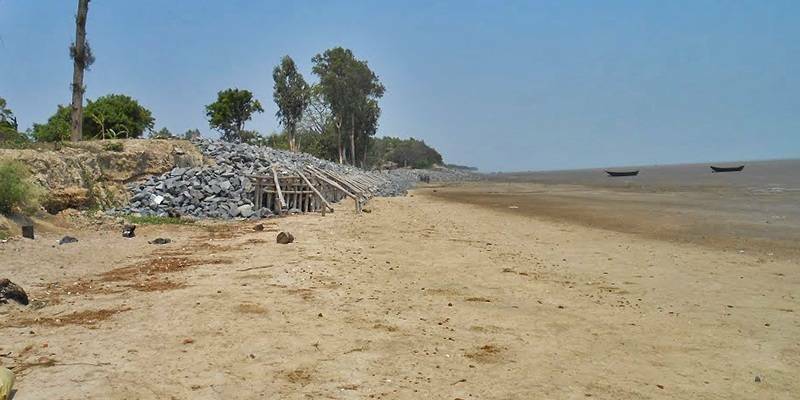 Junput is about 9 km from Contai town has Deshapran Fishing Harbour at Petuaghat. At this place Rasulpur River meets the Bay of Bengal. It is one of the wonderful fishing harbors in coastal Bay of Bengal. Another attraction here is 96 feet high Dariapur Lighthouse where tourists are allowed to climb the top. It gives a nice feel to stand and watch the vast sea and its waves. In Marishda there is very old temple of Jagannath Dev almost 400 years old that is 8-10 km away.